It has been one week since the attacks in New Zealand and I wanted to update our community on our efforts. We are committed to ensuring the safest community possible through a variety of measures we undertake. When critical incidents take place locally or around the World, we work with our law enforcement partners to share information. Over the past week our Enhanced Safety and Security Efforts have been noticed by many in the community. 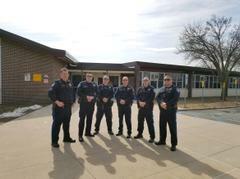 Our Patrol Division has conducted 117 directed details at sensitive locations in the Township. Our Community Service Division has conducted safety reviews and inspections of houses of worship and businesses that have requested assistance. 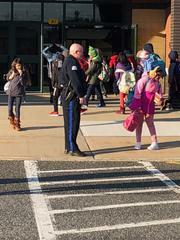 Our School Resource Office Bureau has enhanced officer presence at all schools and conducted familiarization exercises with the Patrol Division. Our Investigations Division has followed up and resolved a handful of concerns called into our department. Our Support Services Division has conducted three training sessions on Active Shooter Awareness and Preparedness to local groups this week. Our outreach is an ongoing effort that occurs daily year-round. I have received tremendous feedback for our efforts but is the ongoing dialogue and partnership that we continue to need. If anyone is looking for any information about the variety of safety programs offered, they can email pdtraining@sbtnj.net. I thank the community for their continued support and assistance. Issue: Speeding and Overweight Vehicles. Issue: Speeding and Traffic Signal Violations.